The Department of Anthropology announces with sadness the passing of Professor Emeritus Roy D'Andrade, on Oct. 20, 2016, at the age of 84. D'Andrade played an important role at UC San Diego as one of the founding members of the anthropology department, as a strong advocate of research bridging traditional disciplinary boundaries, and as a founder of the field of cognitive anthropology. D'Andrade's research was notable for its interdisciplinary reach, especially to cognitive science, and serves as a model of working across disciplines to advance science and human understanding. 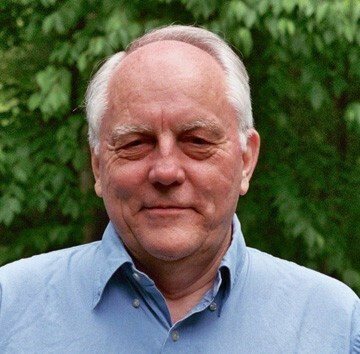 With an abiding interest in the cultural aspects of cognition, he was committed to the use of rigorous scientific methods and empirical data to explore the connections of cultural models to human experience and to the ways these made experience and behavior meaningful. Born in Metuchen, New Jersey, on Nov. 6, 1931, he served in the U.S. Army and attended college at the University of Connecticut. He then studied at Harvard University in the Department of Social Relations, where he worked with John Whiting in the developing field of psychological anthropology. He earned his Ph.D. from Harvard in 1962 and soon began working at Stanford University, staying there until 1969. Following field research in Nigeria and Ghana and after one year as chair of anthropology at Rutgers University, he joined the faculty of the Department of Anthropology at UC San Diego in 1970, where his former teacher at the University of Connecticut, Melford Spiro, had founded the department in 1968. D'Andrade served three separate terms as the chair of the department and was one of the founders of its Seminar in Medical and Psychological Anthropology. He was an active member of the department and university until his retirement in 2003. D'Andrade's work reflected his efforts to put rigorous empirical methods into productive relationship with challenging questions about the possibility and foundations of human knowledge. In this spirit, his publications ranged from the analysis of color perception to the study of folk theories of mind, from technical statistical studies to explorations of the way human beings organize knowledge culturally and cognitively, and from to studies of the ways humans think about health to the ways anthropologists think about culture and society. He made the concept of cultural models – units of culture integrated into cognition, experience, and behavior – central to much anthropological discussion. This was consistent with his stand that anthropologists needed to make their accounts of culture consistent with the way the human mind works, and that psychologists and cognitive scientists needed to understand the impact of culture on mind and experience. This perspective had an important impact at UC San Diego and grew out of D'Andrade's interdisciplinary collaborations with researchers beyond anthropology. Beginning in about 1972, D'Andrade had regular interactions and shared lab meetings with Don Norman and the late David Rumelhart in psychology as well as with Aaron Cicourel in sociology. Those meetings led to development of D'Andrade's work on cultural models. One of D'Andrade's many contributions was to demonstrate that what psychologists treated as a purely mental phenomenon was a cultural phenomenon as well. These collaborations provided proof that interdisciplinary work on cognition at UC San Diego was not only possible, but fruitful, and that generated support for the foundation of the Department of Cognitive Science. While D'Andrade chose to remain in anthropology when the new department was formed, he remained a strong supporter of the field, making a presentation at the very first meeting of the Cognitive Science Society (at UC San Diego in 1979) and publishing in the journal Cognitive Science. The fact that anthropology is today listed as one of the core contributing disciplines in cognitive science is due more to D'Andrade's influence than to the work of any other scholar. His 1995 book "The Development of Cognitive Anthropology" addressed and advanced his interests in the relationship of cognition and culture, providing an overview of the field he helped found. D'Andrade was elected a fellow of the American Academy of Arts and Sciences in 1990 and became a member of the National Academy of Sciences in 1998. In 2002, he received the NAS Award for Scientific Reviewing, given "to recognize authors whose reviews have synthesized extensive and difficult material, rendering a significant service to science and influencing the course of scientific thought." In 2005, he was honored with a Doctor of Humane Letters from the University of Chicago and received the Lifetime Achievement Award from the Society for Psychological Anthropology. Surviving him are his four children, Nina D'Andrade, Janet Holmes, Amy D'Andrade, and Hugh D'Andrade; two siblings, Hugh D'Andrade and Patricia D'Andrade; and three grandchildren.